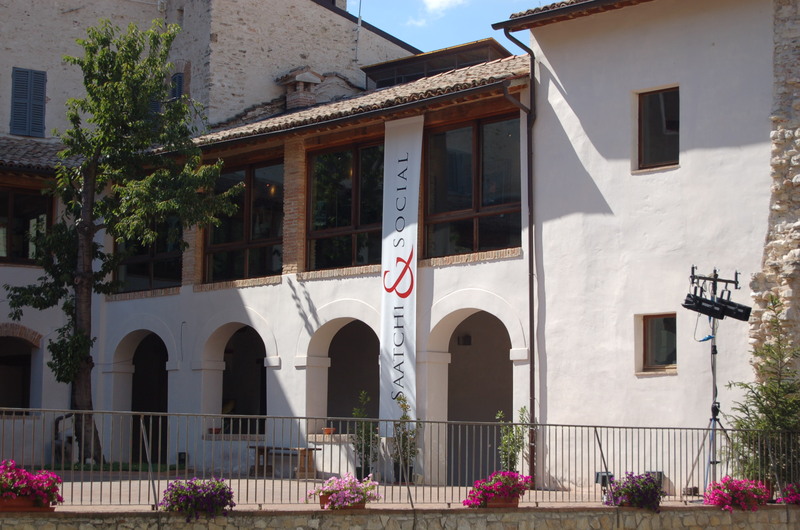 The Saatchi & Social exhibition “35 years of social campaigns we wish we’d never had to do” was inaugurated in the San Nicolò Cloister in Spoleto. 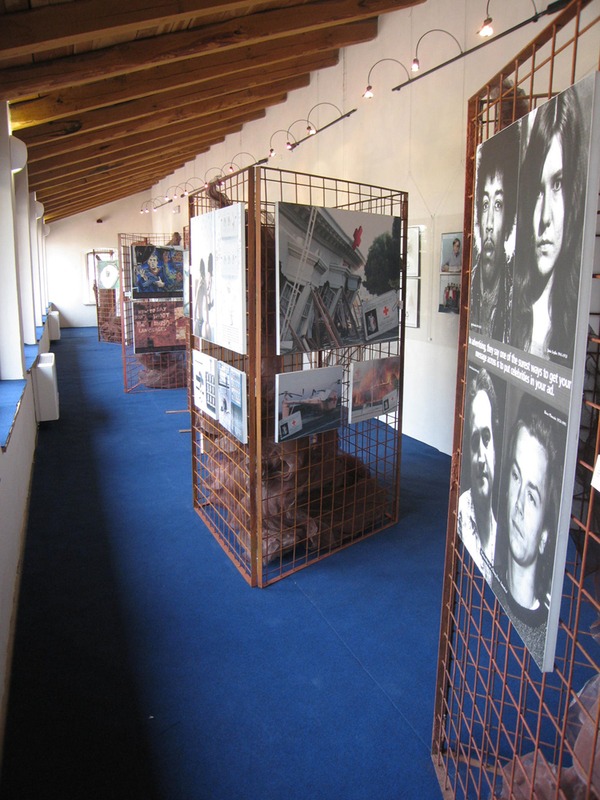 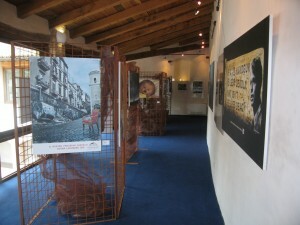 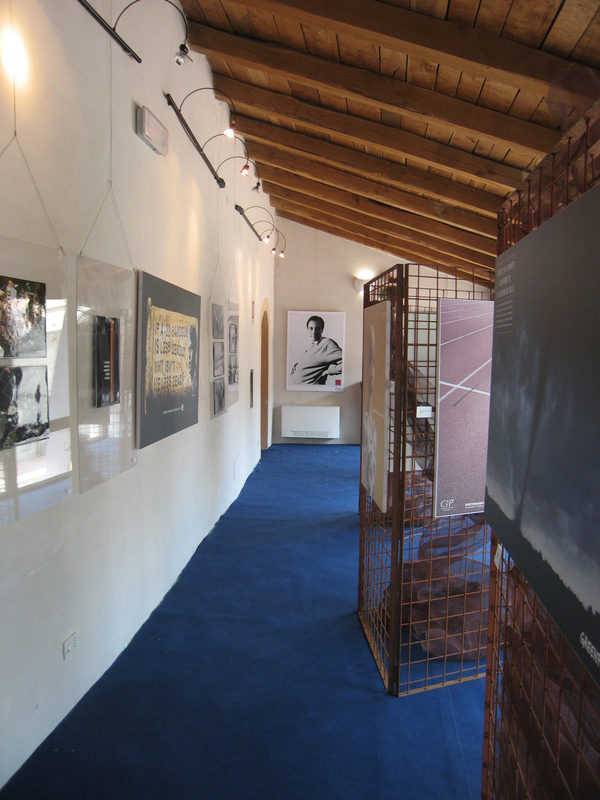 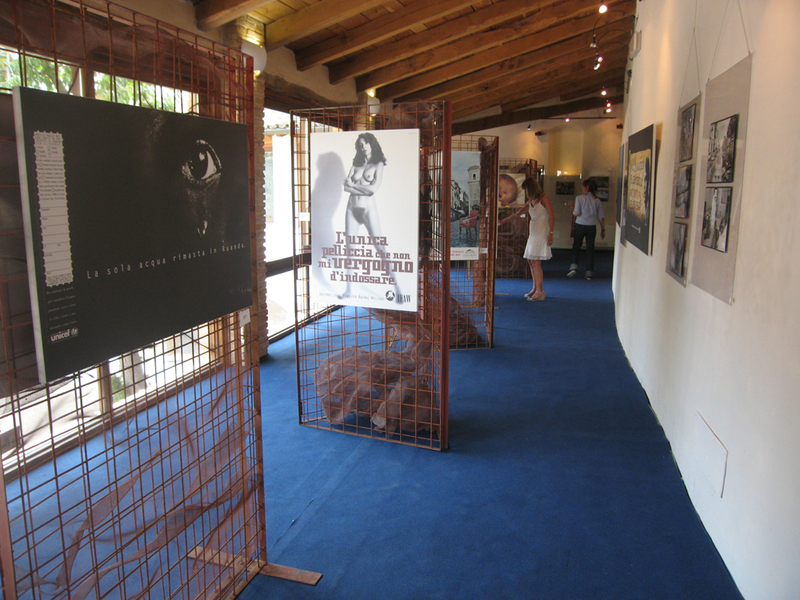 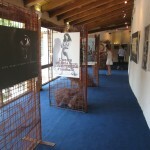 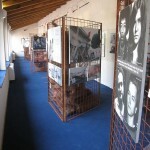 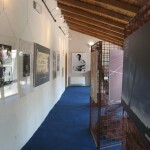 Over 100 cause-related campaigns developed by Saatchi & Saatchi Italy and worldwide, were exhibited. 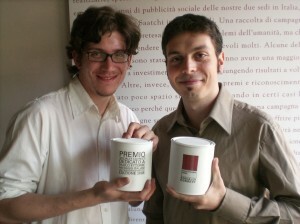 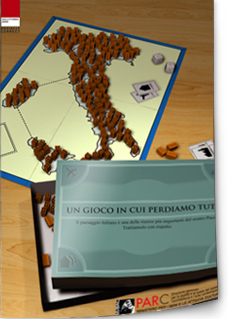 During the event, the award-winning campaign of the first edition of the Socially Correct competition was presented and the students from Milan University who developed the campaign were presented with the Socially Correct prize. 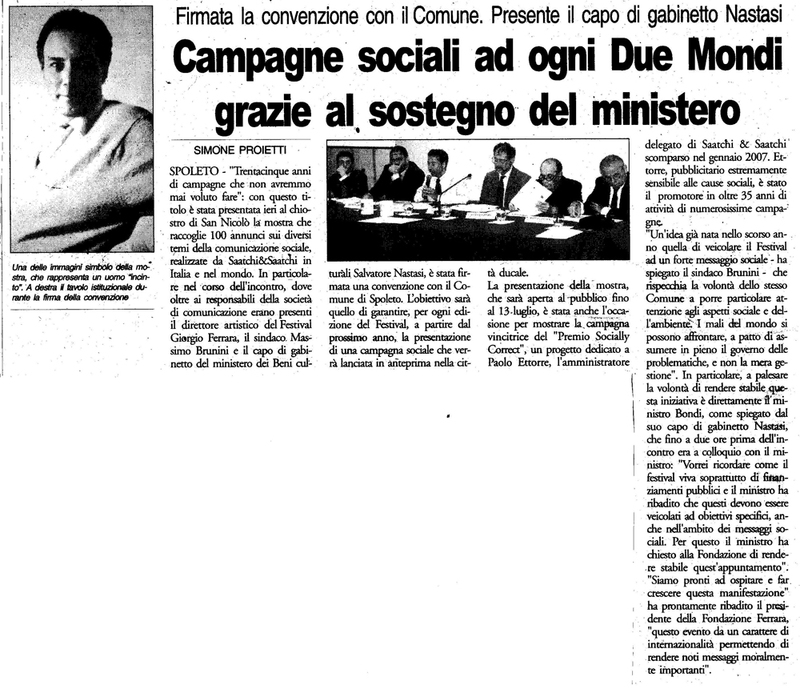 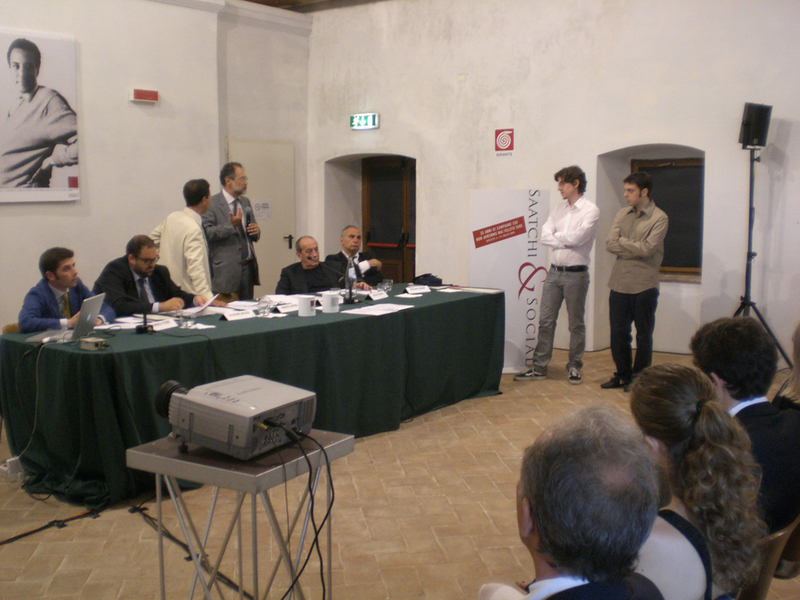 An announcement was made regarding the collaboration between the Paolo Ettorre – Socially Correct Association and the Festival dei Due Mondi di Spoleto Foundation.